Tommy Lee arrived at Yorkminster Park Baptist Church at 12:30 in the afternoon. There was a frigid night ahead and he needed to secure a spot in the church's overnight shelter. "Weather wise, if it's really cold like tonight, you'd want to be the first 60," Lee said. You have to get here early if you want a place to sleep. Toronto's winter shelters are bursting at the seams, and advocates for the homeless say this year is particularly dire. "Everyone is screaming their loudest that homeless people need help. And people are dying in the meantime. Dying without shelter," street nurse and activist Cathy Crowe told CBC Toronto. At Yorkminster, Rev. Dale Rose, minister of pastoral care, said volunteers find it hard to turn people away when the church hosts overnight shelters. The church offers meals and tries to make people feel welcome. But ultimately, many people are given a subway token and told to try somewhere else. "Even if you go to the other places, they might be closed too," said Lee, who was turned away from an overnight shelter once before. "It's difficult. It's really difficult for people." According to the city, Toronto has an estimated homeless population of about 5,253, of which 447 are "sleeping rough" on the street. 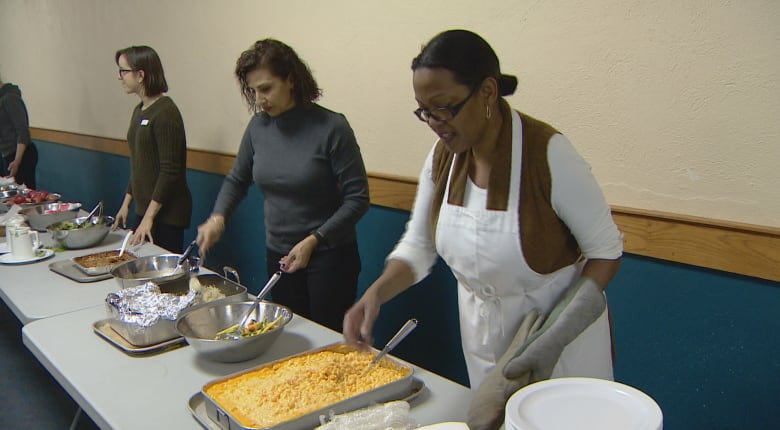 The city runs two warming centres during the winter, where people in need can spend the night — even if it's only on a mat on the floor. Those warming centres were supposed to close for the season on Wednesday. But earlier this week, Toronto Mayor John Tory announced that the city would extend cold weather drop-in program services at the centres because of the continuing winter weather. "We're doing it out of an abundance of caution," Patricia Anderson, a manager with Toronto's Shelter, Support and Housing division, said. In Kensington Market, St. Felix Centre will provide 24-hour services until March 18. At Dundas Street East and Sherbourne Street, Margaret's Drop-In Centre will stay open until April 15. 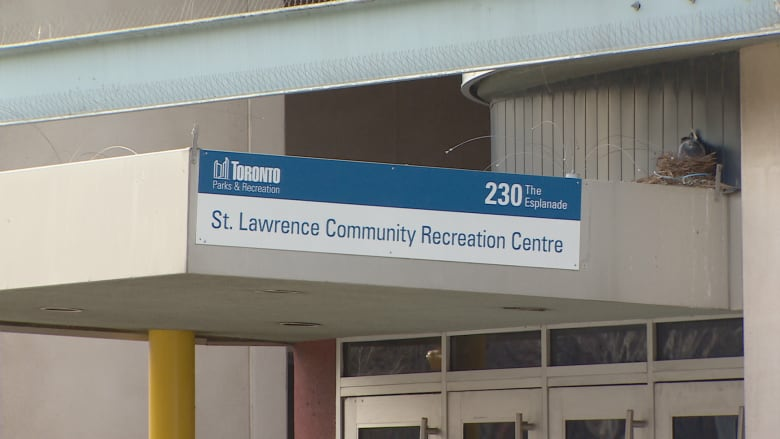 There will also be an overnight warming centre at St. Lawrence Community Recreation Centre from March 18 to April 15. Anderson said the three centres have a combined capacity for 160 people a night. But that's not enough to accommodate all the city's homeless. 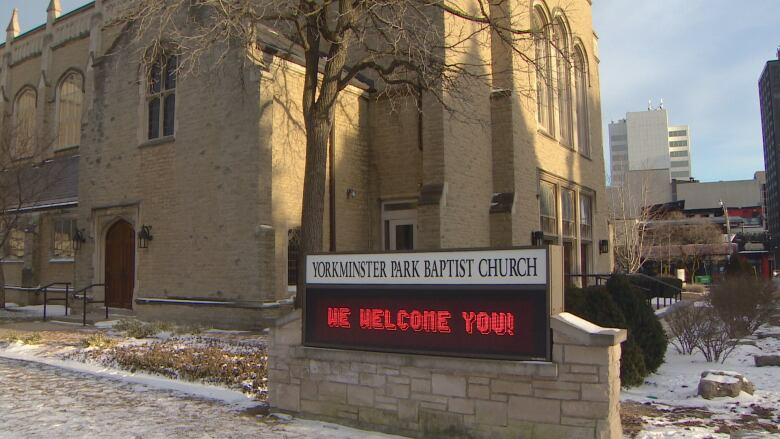 Yorkminster Church is one of 16 interfaith groups that tries to fill in the gaps through a program called Out of the Cold. The program, which started in 1987, provides free overnight shelters in various churches, temples and centres throughout the city. The city provides funding for the program, but it's largely reliant on volunteers and donations. "The program started off just as a stop gap. But now it's developed to a point where I think the city is probably dependent on it," said Rose at Yorkminster Church. The church can sleep about 70 people when it provides overnight services on Wednesdays. "Certainly the people who use it are dependant on it." Rafi Aaron, co-chair of the Out of the Cold Program at the Beth Sholom synagogue, said it's "gut wrenching" to have to turn so many people away. On Tuesday, the synagogue was at capacity by 6:30 p.m.
"When we turn people away, we know there's going to be great difficulty in them finding a bed somewhere and often they have to sleep rough," he said. In frustration, Aaron recently formed the Interfaith Coalition to Fight Homelessness, which is comprised of a number of Out of the Cold clergy and supporters. "I didn't understand why no one was screaming from the top of the CN Tower that there is a shelter crisis here in Toronto," he said. "I think there's been a colossal failure on three levels of government." For the first time, he said, Out of the Cold members have gone to city hall asking for more support for the city's homeless. Cathy Crowe agrees that the city needs to do more. 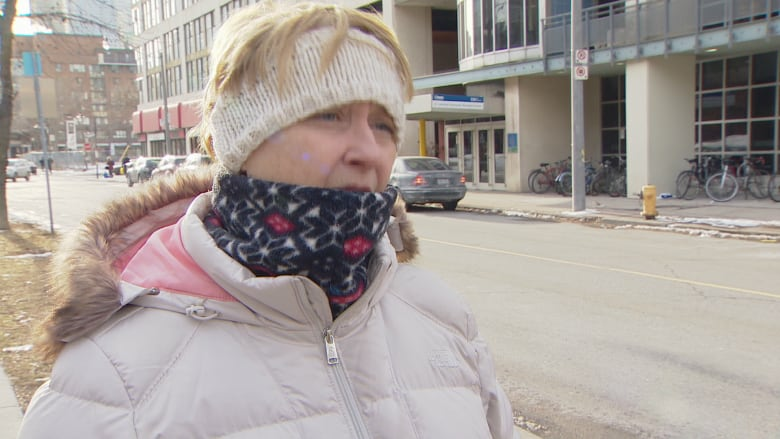 She said it's great that the city is extending its drop-in services this winter, but that it's a not a permanent solution. "It's nowhere near what we need," she said, adding that it's "alarming" there's no drop-in centre in the west end. "Those of us working in the field are really, really pressuring the mayor to open a large emergency shelter in somewhere like the armoury," she said. She said March through May can be particularly dangerous months, as more winter services end. 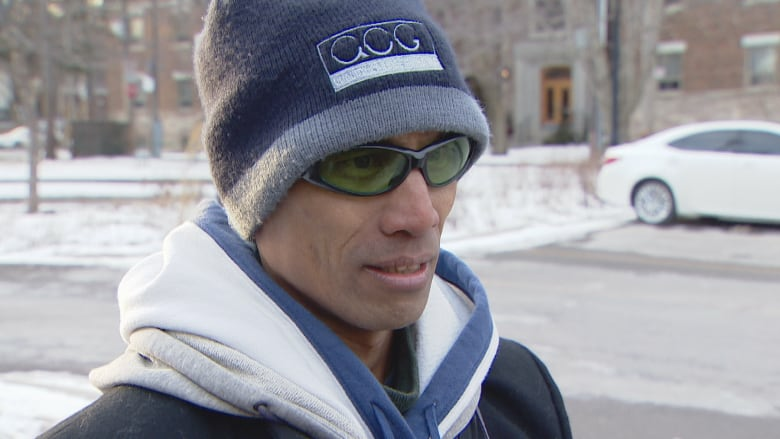 Crowe said a young homeless man recently died of an overdose on the street, after there wasn't enough room for him at one of the warming centres.